Clifton Meador is the 2013 winner of the MCBA Award, sponsored by the Minnesota Center for Book Arts. The judges were Sarah Bodman, Sandra Kroupa and Buzz Spector. 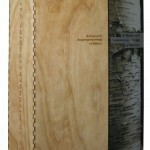 Meador’s winning entry (A Repeated Misunderstanding of Nature (2012) and several others are displayed by Michael Lieberman at Book Patrol, bookmarked here, and comprehensively by the MCBA at MCBAPrize.org. Based in Chicago, Meador writes, photographs, prints, designs and teaches. His interest in the “narratives of culture, history, and place … the basis for identity” finds its expression best in the artist’s book, the ideal vehicle for “countless ways to create complex, engaging narratives.” Meador’s artist’s statement — “Human identity is not monolithic, nor is it a simple linear narrative, and I use the book as a strategy to present this complexity. Who we are depends on who is asking ….” — shows a profound grasp of the nature of the book. 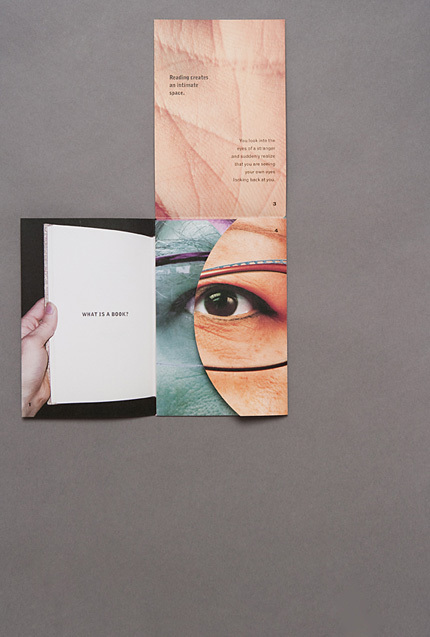 A grasp epitomized by his collaborative work with Julie Chen, How Books Work, 2010.